CLEAN TITLE CERTIFIED! CLEAN ONE OWNER!! NO ACCIDENTS!!! This vehicle is at 205 E. State Pleasant Grove, UT 84062. Super Black 2016 Nissan Altima. MPG: Up to 27 city / 38 highway. Intelligent key. Power windows and locks. AM/FM Stereo. CD player. Satellite Radio. Auxiliary Audio Input. Bluetooth hands free phone connect. The 2015 Nissan Altima continues to be a top choice among family sedans, delivering excellent fuel economy and a rare blend of comfort and agility. Awards: * 2015 KBB.com 10 Best Sedans Under $25,000 * 2015 KBB.com 10 Best UberX Candidates --- All vehicles come with a 12 month/12,000 mile Powertrain WARRANTY for your PEACE of MIND! Call 801-679-6688!! ---Automaxx Pleasant Grove-Utah Countys Only UN-Authorized Jeep dealer --- Winner of the 2018 and 2012 Quality Dealer Award in Utah and in business since 1998. ---Find us at 205 E. State Pleasant Grove UT 84062. Open 10am to 7pm Monday to Saturday. Or call 801-679-6688!! 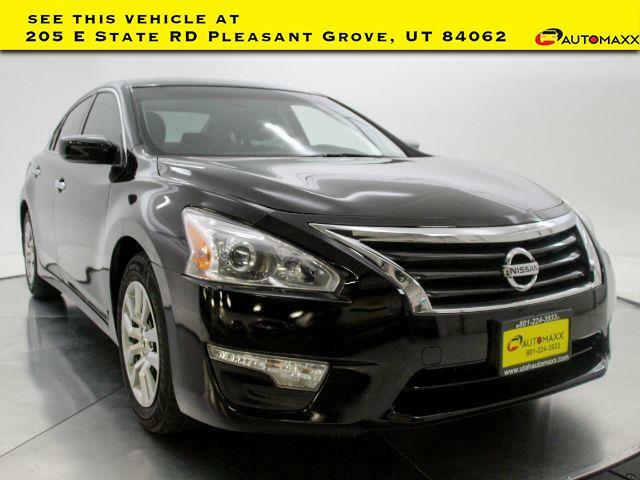 Visit Automaxx Pleasant Grove online at utahautomaxx.com to see more pictures of this vehicle or call us at 801-679-6688 today to schedule your test drive.